The East China Sea Air Defense Identification Zone is just the beginning. I hate making predictions. Truthfully, I am the type of person who likes to go to casinos for the latest sporting events or concerts and would never throw my money away in a slot machine or on the blackjack table. However, I can guarantee Vegas would lose its shirt on this bet, an easy wager to make: Look for China in the next year to eighteen months to declare an ADIZ over the South China Sea — in fact, Beijing’s ambassador to the Philippines appears to have alluded to such a move. Heck, I will even take it a step further and bet the wife and dog on this one: Beijing will create such a zone in the Yellow Sea as well at some point in the near future. Why am I making such a prediction? Two recent factors come into play that in my view give China the rationale along with the ample cover they need to make such a move. So let me see if I have this correct: It would be OK if China crafted an ADIZ in the South China Sea as long as it tells its neighbors in some fashion, in advance? Considering Beijing has already made a veiled reference that it could set up additional ADIZ in the future, the timing of such a comment was ill advised at best. Honestly, I am hoping the official was misunderstood or misspoke because if accurate, Beijing could use such wording to openly declare such a new ADIZ in the South China Sea — an area with sovereignty disputes involving multiple claimants. In fact, Beijing has already gone so far to claim 80 percent of the area, effectively taking control of Scarborough Shoal last summer, which is well within the Exclusive Economic Zone (EEZ) of the Philippines and is pressing its claims now on Second Thomas Shoal. China has also deployed its new aircraft carrier to the region in what could be seen as a show of force (although, let’s be frank, the carrier won’t be operational for sometime, however, the point is still made). 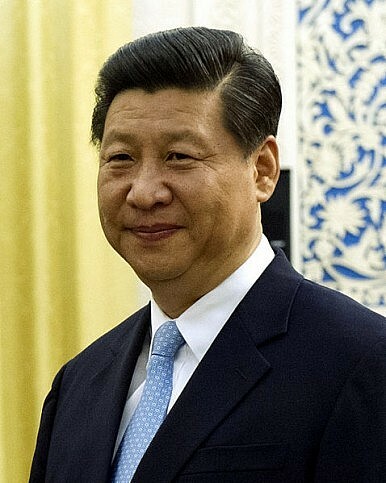 Second, when America’s Federal Aviation Administration (FAA) gave guidance that U.S. domestic carriers should inform Beijing of their flight plans, Washington not only gave de facto approval of the East China Sea ADIZ, but also suggested that future moves would not be met with strong resistance. Truth be told, the Obama Administration was in a tight bind on the decision — not giving the information to Beijing could have put such flights and American lives in danger, and no one wants to see an accident turn into a crisis that won’t be easy to untangle considering the stakes. Yet, any move that gives this ADIZ declaration on China’s part any legitimacy will certainly be used by Beijing as a sign of acceptance. If we got away with it once, why not try the same move again and again? As I explained in a piece for the Washington Times recently, creating an ADIZ, an area that is essentially an early-warning buffer zone for possible intrusions into a nation’s airspace, is not aggressive. It is the arc of Chinese actions dating back to 2006 onward that should worry the international community. Looked upon as a whole, the trend is truly concerning. No one is saying Beijing does not have the right as a great power and possible someday a superpower to shape the international stage in a way that is friendly to its own national interest. It is the optics of how it is going about doing it that frightens its neighbors. For all of China’s worries about being contained by the U.S. “pivot” to Asia, China is doing a great job of aligning its neighbors against its actions — effectively containing itself and giving credence to the growing narrative as Asia’s new regional bully. Bad move Beijing. China and Malaysia To Hold Maritime Exercises: What Gives? China and Malaysia will conduct their first military exercises next year.